The Vegetarian Society Approved trademarks are only licensed to products that meet our strict criteria. This isn’t done on a self-certification basis (after all, even manufacturers in the know can get it wrong occasionally). 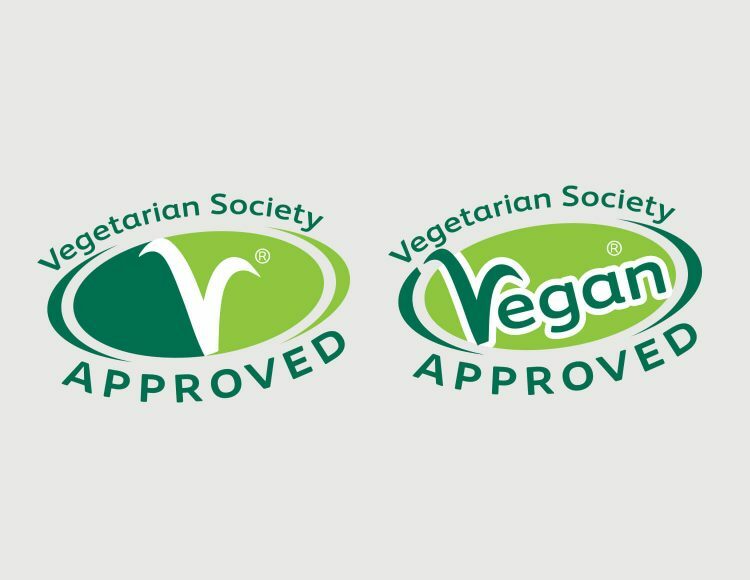 The Vegetarian Society Approved trademark accreditation involves independent ingredient and production method checking by our experts here at the Vegetarian Society. By displaying our vegetarian and vegan trademarks, not only are you reassuring your customers they can trust your products, but as a client of the Vegetarian Society Approved trademark scheme you also have the credibility of being permitted to display the most long-standing and well-established trademark of its type – and you have the peace of mind that you can be certain your products are suitable for your vegetarian or vegan target market. We don’t just license our trademarks to food products – they are displayed on food, drink, alcoholic drinks, cosmetics and beauty products, household and cleaning products, health products, things for the baby, pet foods, restaurants, pubs and a whole lot more! In order for your product to be licensed to carry our either of our trademarks, it must meet our strict criteria. We check your ingredient lists and specification sheets, and if they meet our criteria (once you have paid the licence fee) you can display the relevant trademark. Of course, if you want to display our trademark, but your products or production methods do not yet meet our criteria, we’re very happy to work with you to bring them up to our required standards. The criteria for the two Vegetarian Society Approved vegetarian and vegan trademarks are as follows. Today, consumers are more savvy about the products they buy than ever before. They know what they want and they don’t want to waste their time finding it. If you can reassure your customers that your product is right for them, and help them identify this quickly, it will have a positive impact on your bottom line. If you are interesting in applying for either trademark, please email trademarks@vegsoc.org or call 0161 925 2000.